When it comes to selecting engineered hardwood flooring, you have a wide range of choices to choose from. If you are just beginning your search for new engineered hardwood flooring, be sure to add white oak flooring into your list of contenders. 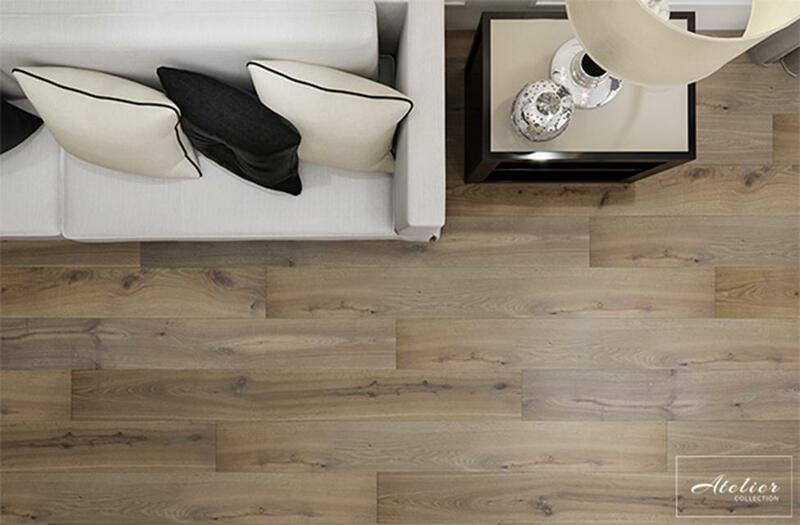 White oak hardwood flooring is a smart choice for both residential and commercial spaces. With colour tones that add life to any space and a smooth look or texture, it’s no surprise to that white oak flooring is a popular flooring selection. As mentioned, white oak hardwood flooring has some key benefits that many people look for when shopping for engineered hardwood flooring. 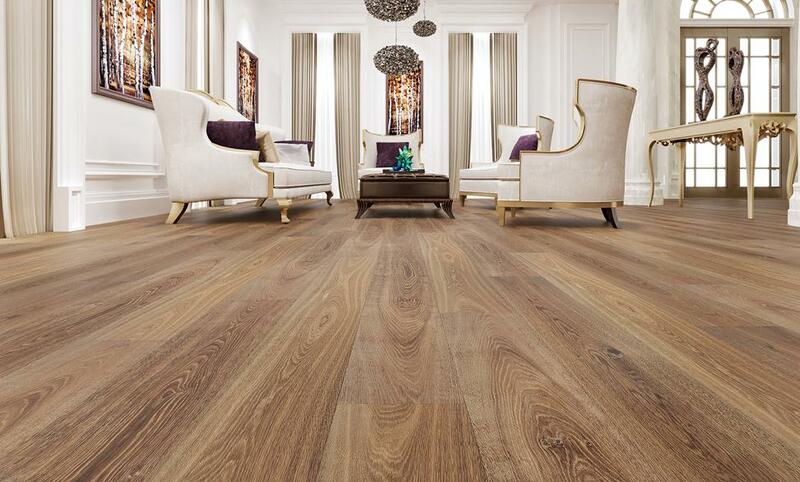 This type of flooring can provide a durability and a luxurious, high-end feel to create a forever timeless look. Keep reading for a deeper look into some of the key benefits that white oak flooring has to offer. White oak is known for it’s attractive, high-quality appearance. In addition, white oak’s versatility allows many options, such as wide plank flooring and it can be installed in a stylish and popular pattern, such as herringbone or chevron. The Janka scale is a test that measures a wood’s resistance to denting and wear. White oak ranks higher than most other wood flooring types, making it ideal for high traffic areas at home or in commercial spaces. European White Oak is picked from FSC Certified and sustainable forestry that allows their trees to fully grow before being harvested. This ensures that the trees can produce harder and stronger raw material, and allows for extra wide and extra long planks. Wide plank flooring is now becoming essential in the design industry, as it adds dimension and shows off the true character of authentic wood. White oak hardwood flooring offers choice when it comes to colour, as you can choose a naturally oxidized or stained look. Selecting unstained white oak flooring creates a natural, airy feel that adds brightness to any room. For added flair, you have your white oak flooring installed in a herringbone pattern. Many people opt to add a stain to their white oak flooring to alters the colour and tone. Stained white oak creates a beautiful, unique look to complement your existing décor and style. 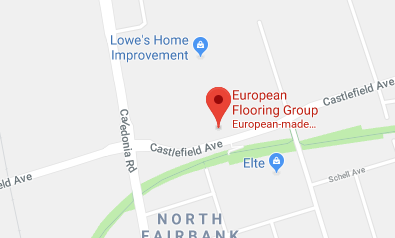 To find the right colour for your space, visit European Flooring’s Toronto showroom to explore our wide variety of stain options and see how they’ll work in your home or commercial space. If you are interested in learning more about white oak engineered hardwood flooring and the different ways it can be used to enhance your space’s style, contact European Flooring. We offer an impressive collection of white oak flooring, wide plank flooring, and other engineered hardwood options. Our designer showroom in Toronto allows you to explore our colour and design options, so you can find the best solution for your space. To find the perfect white oak hardwood flooring to beautify your home or business, call us at (416) 967-9200 to arrange a design consultation.